I just realized that my one-year anniversary was a couple weeks ago. Wow! One year of blogging already. In one sense it feels like yesterday that I clicked on publish for the first time, in another, it seems like ages ago. I've learned so much over the past year, and I think one of the most important lessons to date is that I have so much more to learn about this whole blogging thing. Along with the steep learning curve, I was pleasantly surprised to discover how many kind and supportive people there are in the home blogging world; I'm continually amazed and touched at how sweet and generous everyone is (although I expect I will get negative comments, it's inevitable). This is the perfect time to say thank you to all of you who have left such nice comments over the past year and to all you linky-party hosts who have featured my posts. There are so many talented and creative people out there, and it always feels like such an honor to have any project of mine featured alongside others that I admire so much. And there is nothing like coming home from an especially harsh work day and finding that I have received a lovely comment on one of my posts or to see that I have been featured. That brings a smile to my face every time. So I'm looking forward to continuing my blogging journey, continuing to meet new people, and continuing to grow and learn....but will be taking a little hiatus in the near future. My husband and I will be launching full throttle into the final phases of our cabin project which means fewer posts over the next month or more. 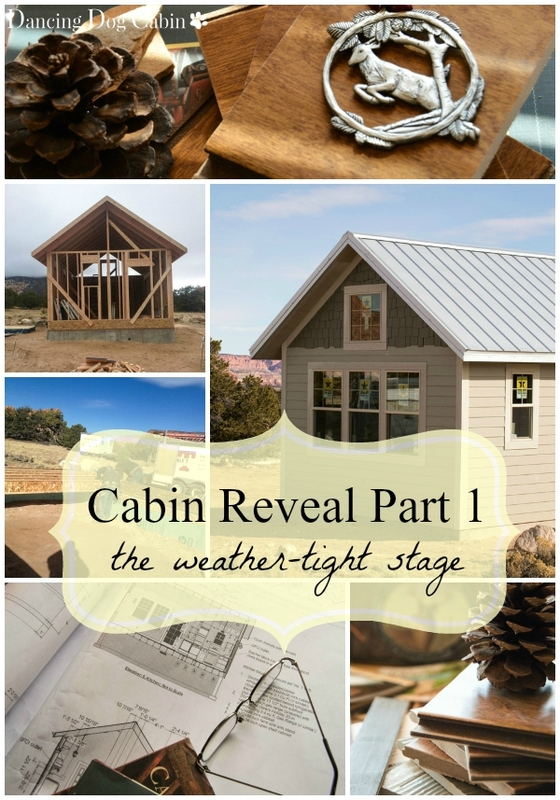 On the plus side, I will have lots of new, fun cabin-related material to share (and a finished cabin, I hope) when we are all done. 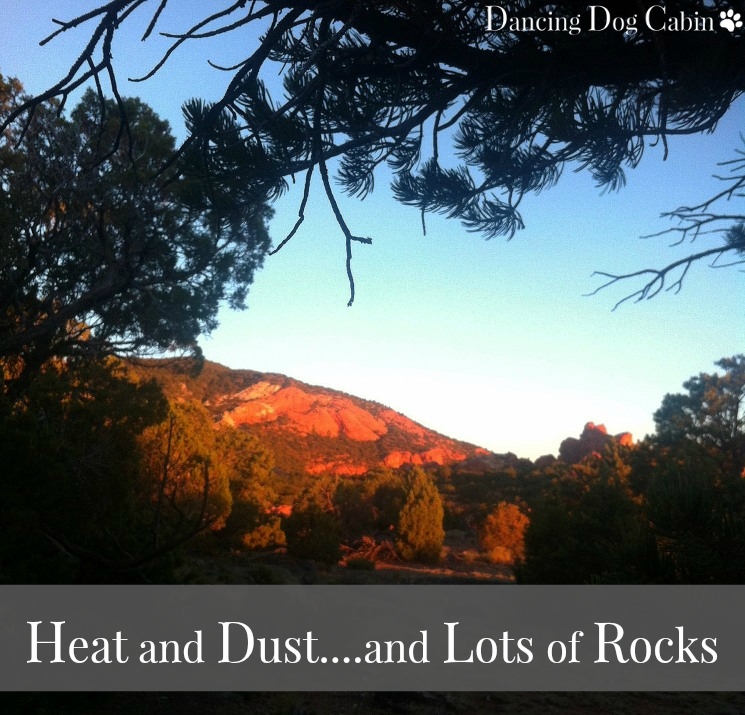 But, before I zoom off into the great southwest and get sucked into the cabin maelstrom, I thought I would share some of my favorite posts, as well as those that were the most popular, to document my progress over the past year in honor of the first anniversary of Dancing Dog Cabin. The following three photos link to the top three most popular posts. This first one received the most page views (thanks in part to being featured in a Hometalk Facebook post (click here for more on that). I finally got to show some real progress on the cabin here. To read this post, click here; for more on our cabin saga, click here for the Cabin Escape page. Worthing Court (click here to see that) and (editorial update) Feathered Nest Friday at French Country Cottage (click here to see that). The interesting thing about this post is that I thought it would go nowhere. 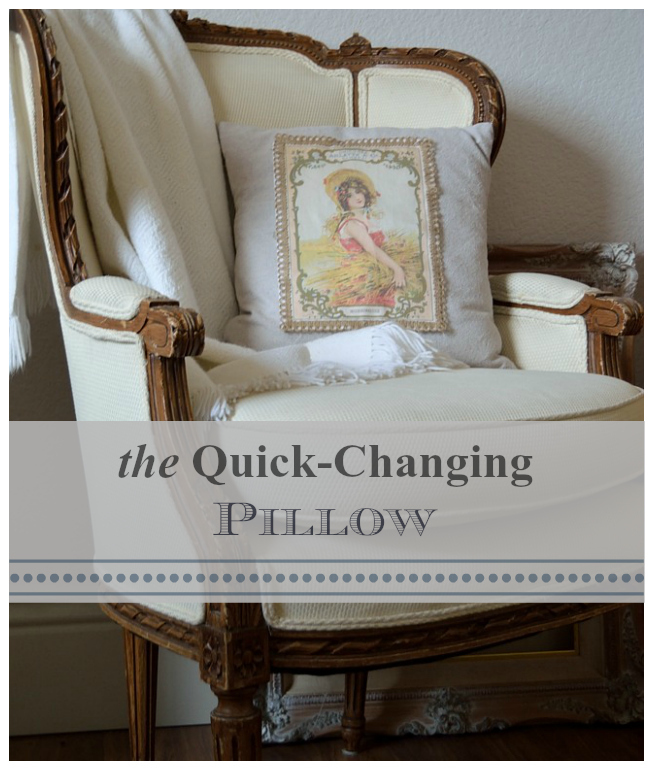 I hastily made the pillows and photographed them just a couple of months after I started blogging, thinking it would be a good one to have in my back pocket when I couldn't think of anything else to post about. I threw the post together after the first of the year because I didn't have time to do anything else, telling myself it was a rather silly idea that no one would be very interested in. To read this post, click here. This post that got the third highest page views, thanks to being featured on The Scoop (click here for more information on that). 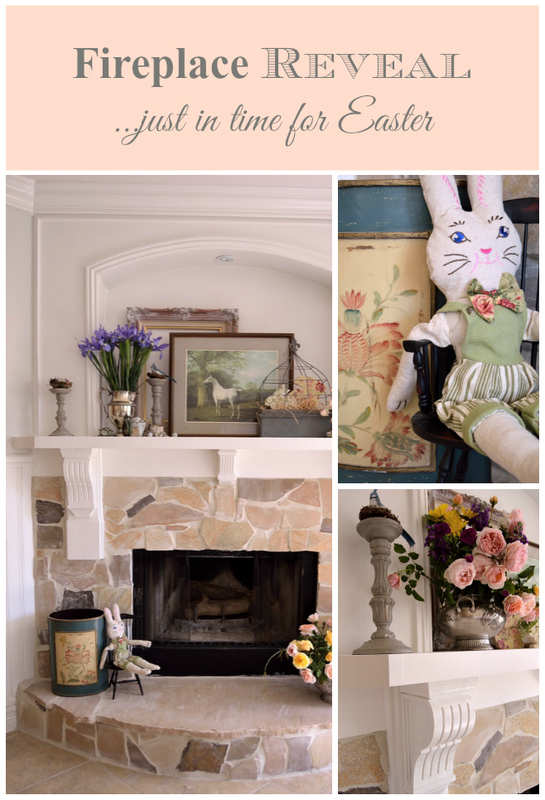 By the time I started to photograph for this post, my house was starting to fill up with all sorts of supplies for our upcoming cabin project, so I had to keep all the photos to closeup shots so that no one saw how terrible my house looked. I've included favorite posts and posts that document milestones in my blogging journey over the past year below. The post shown below was my very first post just a little over a year ago. The photos were taken with either an iPhone or a small, inexpensive digital camera that I had won at a raffle. This was the exciting start of our cabin journey. And, incidentally, where I learned how to operate a mini-bobcat. The photo below is one of the views from our property at sunrise. Sublime. Still using the freebie digital camera here in the post below; I hadn't yet heard about optimizing photos for Pinterest and all the photos are still landscape-oriented and small. All the same, this is one of my favorites since this is where I feel like I really captured the essence of my and my husband's initial cabin design journey. I'm no architect, and we've certainly discovered some amateur mistakes along the way, but it has been tremendously rewarding to see something that I designed (with the help of a pretty handy software program and lots of magazines and books) become a physical, on-the-ground structure. So much fun! This is where I discovered how popular transferware is. 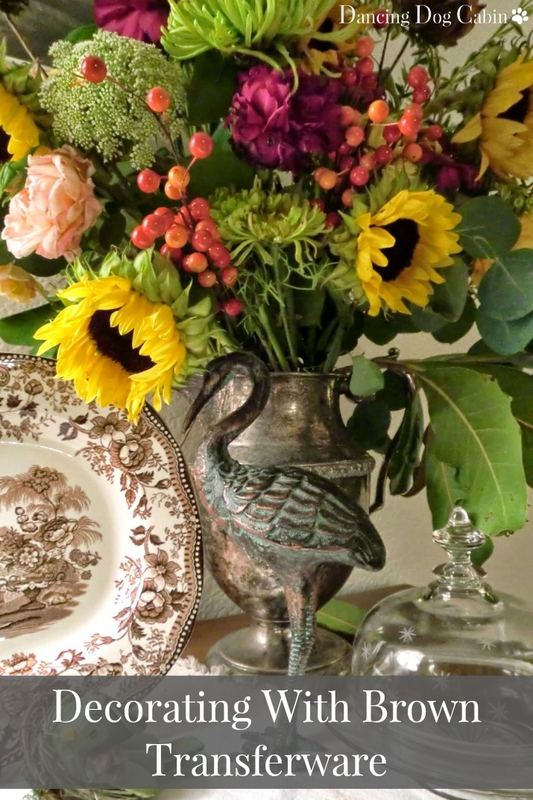 I had also just recently discovered linky parties, and this was the first post to be featured on a linky party (The Scoop, click here for more information on that, and (editorial update) Feathered Nest Friday at French Country Cottage, click here for more information on that). This was back when I couldn't figure out why my photos looked so weird once I uploaded them onto my blog. They looked fine in Photoshop, and then got an odd, surreal, over-enhanced quality once I uploaded them into my draft posts. I finally figured out that I had clicked on 'auto enhance' in Google Plus; what a relief it was to find that this was a simple fix. Un-clicking 'auto enhance' made all the difference. My husband gave me a Nikon for Christmas, and I started to have some real photography fun with the start of the new year. In this post I was starting to get comfortable with my new camera and its settings, and featured one of my favorite color combinations, soft green, teal, and pink. 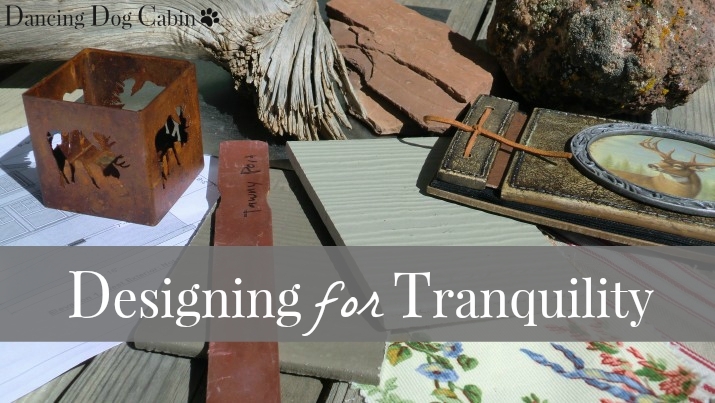 At this point, I was also starting to explore different font styles, colors, and collage options and designs (with the wonderful PicMonkey) for the opening photo for each post. Ah, the fireplace project. Didn't we have enough on our plates already? It was my bright idea to start tearing up the family room right before Thanksgiving so that I could have a pretty, new fireplace and mantle in time to decorate for Christmas. We got it done right before Easter. 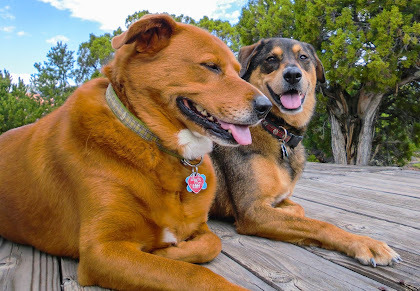 Does Your Dog Love Peanut Butter? 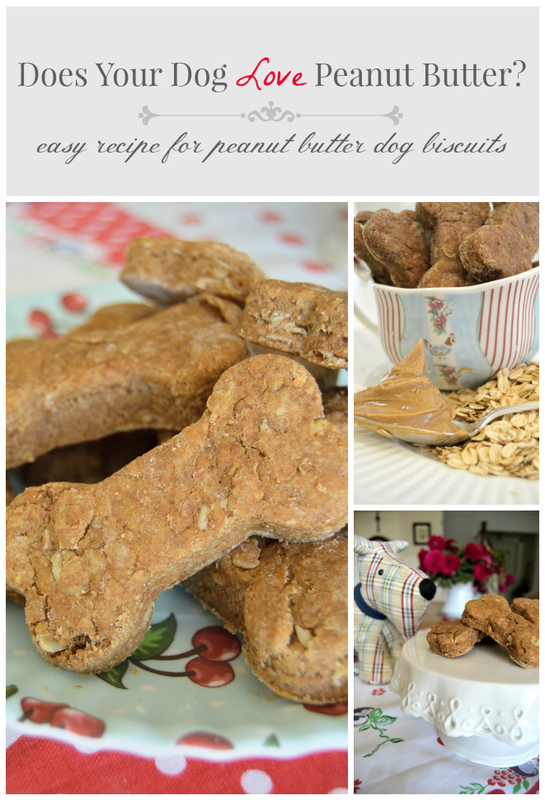 I loved making these peanut butter treats for my darling furbabies! This was so fun to photograph thanks to my little ham, Dolly, and my shy girl, Rosie (shy only in front of the camera; she's large and in charge with other dogs and when anyone comes knocking at the front door). It was right around this time that I started to use a more cohesive and consistent approach to the font style, colors and overall look for the opening photo in each post, as well as the banner for Dancing Dog Cabin. This one was a pretty special post. 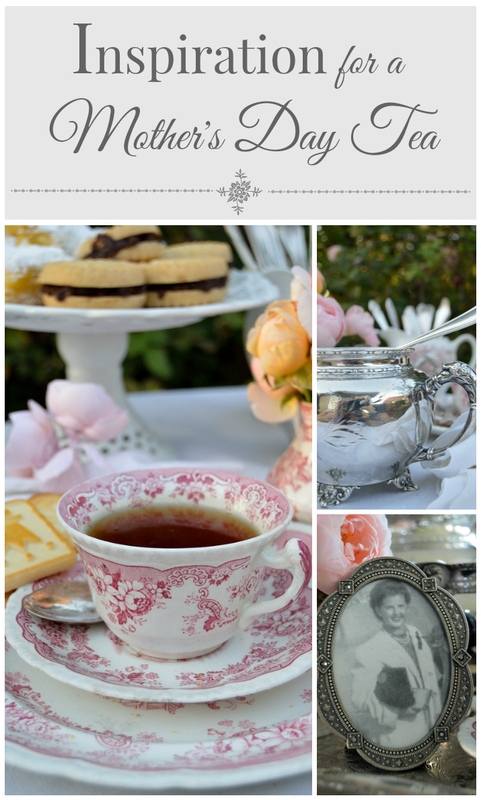 My mom was so touched that I put all this together for her; and since we had a double Mother's Day celebration, one at home and one at the Huntington Library Tea House, a favorite place for both of us, it was even more meaningful. This is a bittersweet one for me. My roses don't look like this anymore. Now they turn brown and wither before the buds fully open thanks to the wretched drought (and water rationing) that has us in it's grip here in California. This one did not do very well page view-wise, but it's still one of my favorites. It may not be elegant or fine, but I still love fun, pretty plastic and paper-ware for those occasions where I don't want to worry about stuff breaking and want to be able to toss everything into the trash (except the plastic-ware, of course) without having to worry about massive cleanup. 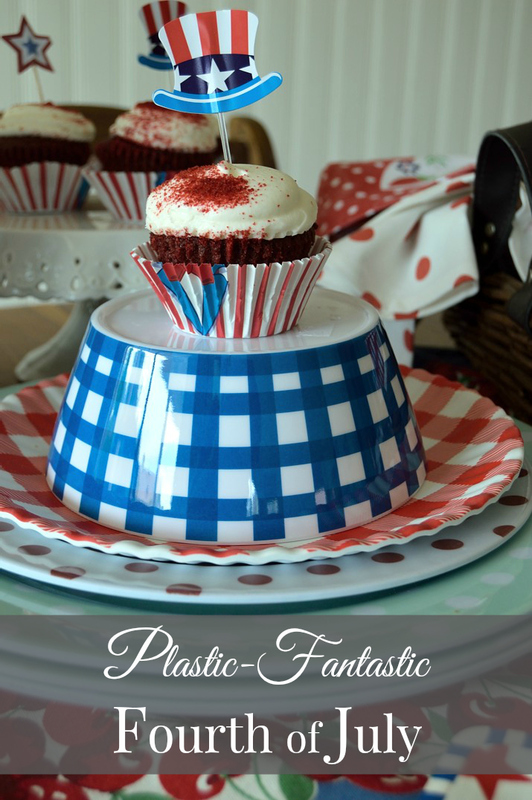 And there really are so many cute plastic and paper plates and napkins-- how can anyone resist? 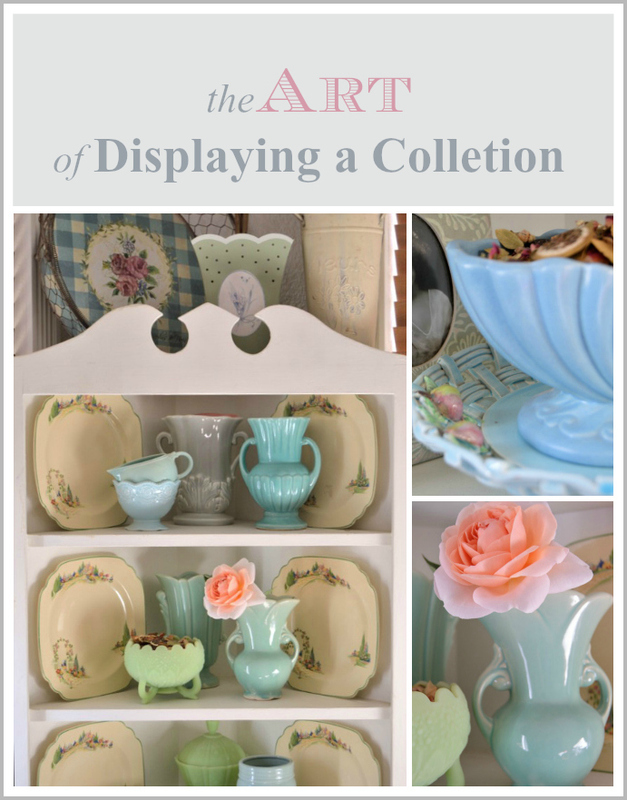 This is where I realized how much I liked the look of images and artwork decoupaged directly onto a hard surface and then stuck into a picture frame. This is also probably going to be one of the few fall-themed posts I will have time for in the near future, so I'm making the most of it. Thanks for joining me on my little trip down memory lane! Love the tour of your first year. Your photography is certainly beautiful, no matter how small the camera. Happy one-year anniversary, Melissa! I love your style, your commentary, and your beautiful photos. Good luck with the cabin - looking forward to reading all about it when you come back! Thank you Amy for your very sweet comment. I'm so glad you enjoy my blog! Happy Anniversary! You are doing such a wonderful job with your blog. Your pictures and graphics are beautiful to go along with your cabin. 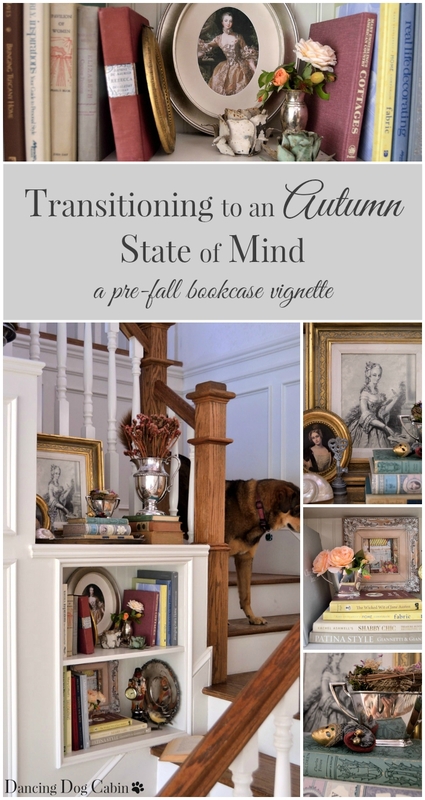 I'm off to reread the early fall post because....well, this is Texas and it is absolutely not feeling like fall. Thank you Stacey! It doesn't feel like fall here either- it was close to 100 degrees today and it will be hotter for the rest of the week. Congatulations on your first year. All of your photos are beautiful. Hope you have as much fun and more the second year! Thanks Mary. Best of luck with your blogging journey! Happy first anniversary! Thanks for joining Home Sweet Home! Thank you Lela, I'm glad you enjoy my blog! I found that doing a one year recap was a great way of assessing and documenting my progress (what seems to be working, what could be improved on, etc.). 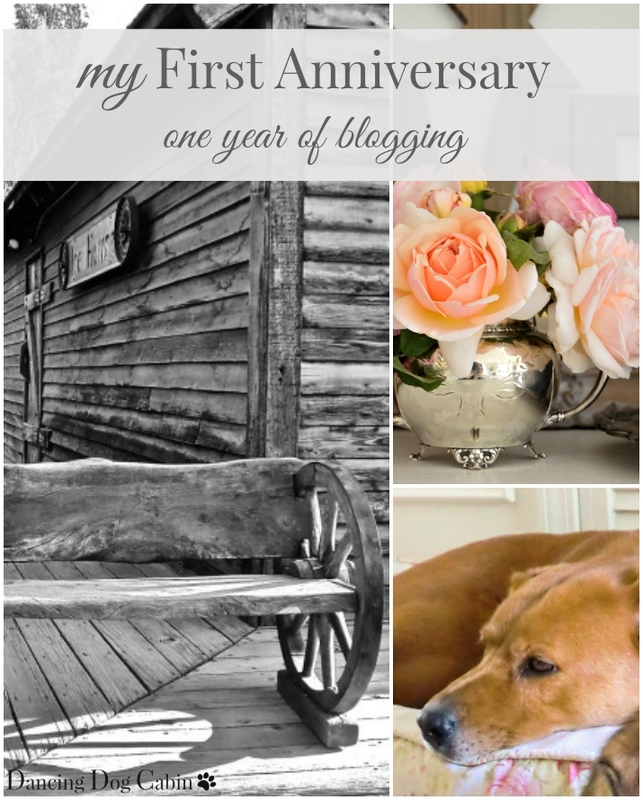 Congratulations on one year of blogging, sweet Melissa! Your blog is always so full of beauty and charm and it's always a delight to visit with you. 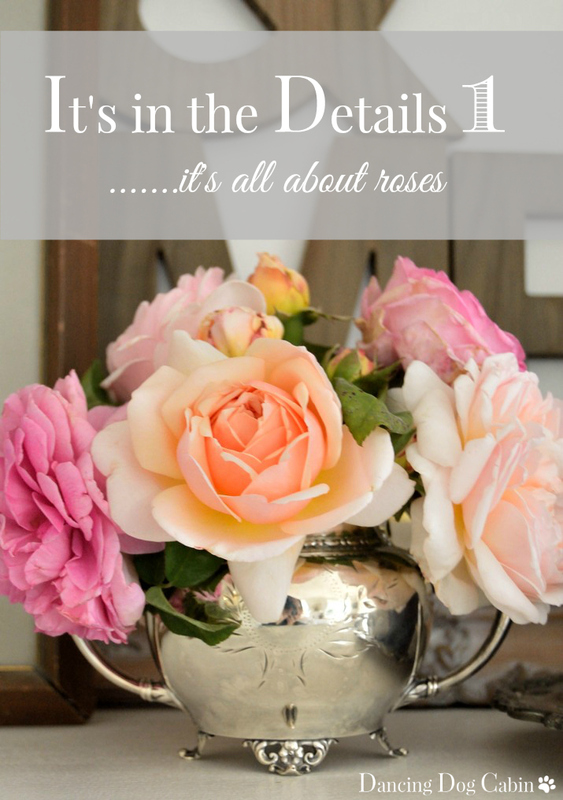 I thoroughly enjoyed this post and I appreciate you sharing with Roses of Inspiration. Hugs! Thank you Stephanie! I'm glad you enjoy reading my blog. Congrats on your first year anniversary! Your photos are always gorgeous and I love having you share with SYC. Best of luck with your new cabin. Hubby and I have been looking at one. Needs a little work, so we're not sure yet. Thanks for sharing with SYC. Thanks Jann! Good luck with your cabin search. Congratulations on your 1st anniversary! I came over from seeing you featured on Cozy Little House because I love your brown transferware. Then I saw about your cabin and dogs. We have a cottage, but it's really a red painted log cabin and we are dog lovers. In addition to Miss Molly, we also have 6 granddogs. Thanks Carol! It's always great to hear from a fellow dog-lover!